John is from Stoney Creek, Ontario and joined the SLC team in August 2009 and became the Spiritual Life Director in June of 2014. He attended York University for one year before transferring to Tyndale University College and Seminary where he graduated with a Bachelor of Religious Education in youth ministry. 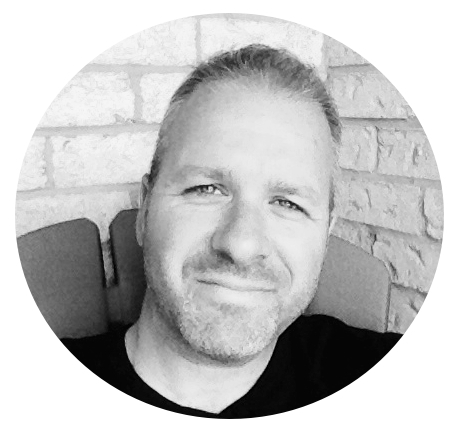 After graduating, John served as the youth pastor at Winona Gospel Church for 13 years in Stoney Creek. He is married and the proud father of two exceptional boys, wildly proud of his Northern Irish heritage, passionate about following Christ, and after meeting Bono of U2 in person, has yet to receive a call to just “hang out”. John is so excited to serve in the Spiritual Life Centre and still believes that when a teen’s path intersects with the life of Jesus, it’s the best thing! Alicia grew up in St. Catharines with her parents and her younger sister. She’s a graduate of Eden. Shortly after high school, during some disillusioned years, Alicia completed the Esthetics program at Sheridan College and worked in a salon. Before long, feeling the need for change and beginning to understand how God and faith fit into her life, she was a part of the Take Flight team for two years as a participant and a leader. Alicia has her BA in Counseling/Caregiving from Columbia Bible College in Abbotsford, BC after three years of learning and growing with some of the most amazing people on the planet. Alicia has been in the SLC since 2003 living life with students, planning missions trips and retreats and loving it. Meghan grew up in Owen Sound and left to pursue a degree in Secondary English Education. She then worked in Amsterdam for a year at a Christian Youth Hostel where she had the opportunity to interact with people from all over the world. Following that, she moved to Calgary to complete a MA in Counseling. After working at the Calgary Pregnancy Care Centre for a few years, Meghan moved to St. Catharines in 2010 to work at Eden. Meghan loves connecting with students and encouraging them to pursue the abundant life Jesus offers them. Brian grew up in Niagara on the Lake and is a graduate of Eden High School. He attended Capernwray Bible School in England and Niagara College where he studied Policing and Law. Since attending school, Brian realized he had a passion for other nations, which drove him to travel extensively, backpacking through four different continents. He then completed one year with Canadian Mennonite University's "Outtatown" program- a year long discipleship training program geared towards knowing God, knowing yourself and knowing the world. He then spent two years leading the Outtatown program where he enjoyed mentoring students and travelling the world as a community. Brian loves good coffee, hammocks, and the outdoors. He is excited to get to know the students at Eden and hear their stories!